With test prep season upon us, I am going to start a series of cooperative learning strategies that can be used with task cards. 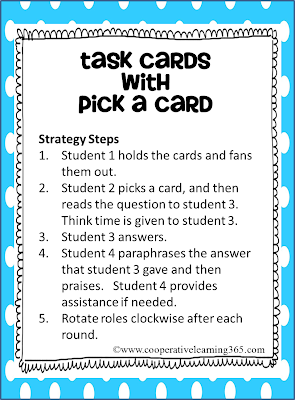 Whether you have task cards that are multiple choice or simply question/answer format, the cooperative learning strategies can be used to keep your students actively engaged avoiding the monotony of simply answering questions. Pick a Card is a strategy that I use quite often. Directions for the strategy are below. Today’s post is one of six in the series. I have decided to add in a little extra. 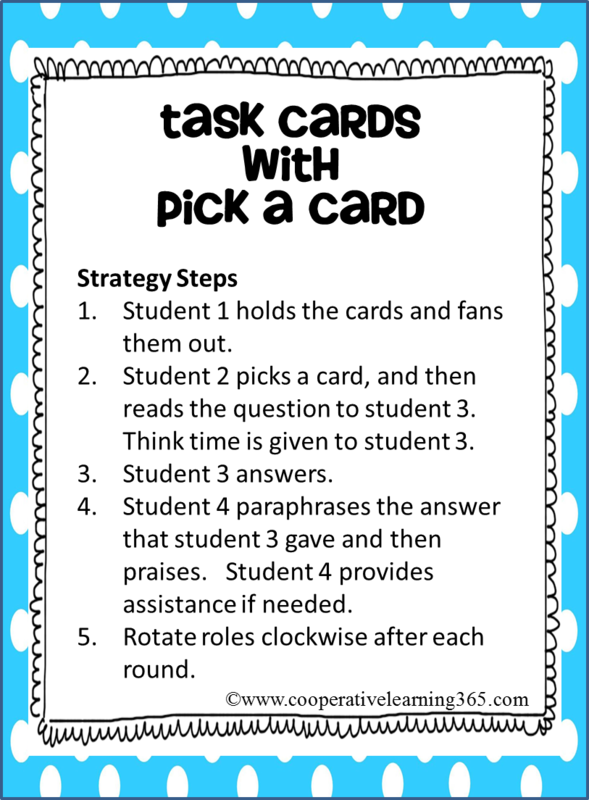 I recently finished an entire set of task cards aligned to the 4th grade Common Core Math. There are a total of 31 sets, and if purchased individually they would be valued at $69.75. 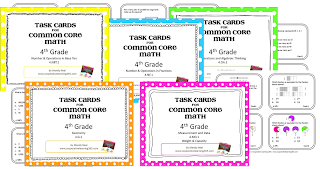 Although these cards are aligned with 4th grade common core, depending on the need of your students, they can also be used with 3rd and 5th graders. Throughout the series there will be a total of three opportunities for you to win a complete set of task cards. Today is the beginning of the giveaways. 1. Pin THIS post to a board of your choice and copy the link in Rafflecopter below.